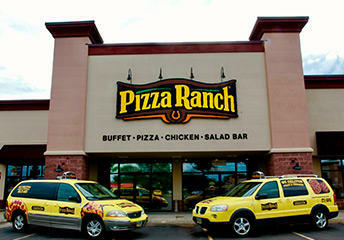 Pizza Ranch in Brandon, SD | 202 Splitrock Blvd. 5pm-9pmFreeOne child 10 & under per paying adult. Lunch: $8.83Dinner: $9.63 / Weekend: $10.04Must be 65 years or older. Cannot be combined with other offers. 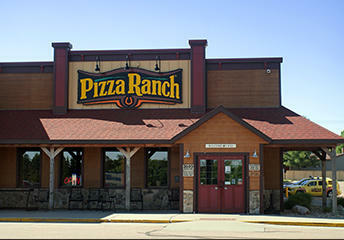 Welcome to Pizza Ranch! 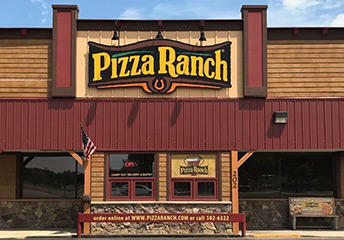 Find a taste of the Old West—and everything you’re craving—on our Buffet Your Way: classic and Ranch Favorite pizzas, the Country’s Best Chicken®, and sweet Cactus Bread®. Find us nearby the Badlands Motor Speedway and the Brandon Valley Performing Arts Center. Bring the family for dinner, or host an event in any of our seven community rooms that seat from 12 to 96 people. If you feel like staying in, order online. We’ll bring the legendary experience to you! Join us for Community Impact events to help support local groups like the Sanford Children’s Miracle Network—or get in touch with us to host your own.